Welcome to Across The Pitch, a brand new website and podcast dedicated to bringing the best coverage of English Association Football, commonly referred to as soccer, to fans in the United States. Our shows and blogs will focus on all things English Football. Hosts Phil Kennedy, Arran Airs, and Matt Robards will be bringing you coverage on a wide range of topics including in depth previews and recaps of matches, gambling and fantasy picks, random topical debates and more. Comparisons to American Sports are frequently used to illustrate the nuances of the English game. We discuss English Premier League, UEFA Champions League, EFL Championship, EFL League One. If you are an American sports fan looking to learn more about "The Beautiful Game" then this is the show for you. Phil, Arran, and Matt currently live in Phoenix, Arizona. Phil and Arran are both supporters of Arsenal, while Matt is a Chelsea supporter. All 3 of us are also supporters and season ticket members of the USL Phoenix Rising. Our show also supports the League One side Accrington Stanley FC (read more about them in our blog, and midfielder Scott Brown has appeared on episodes 2 and 12). As fans from "across the pond" one of the most difficult things to find in the USA is good coverage of English football outside of the big teams. Our goal is to bring that kind of in depth coverage not only American listeners, but also share our unique views with our friends "Across The Pond". Our goal is to bring a truly unique, and uniquely entertaining perspective on the world of association football (our preferred nomenclature). We are also looking forward to hearing questions and comments from our listeners and readers. 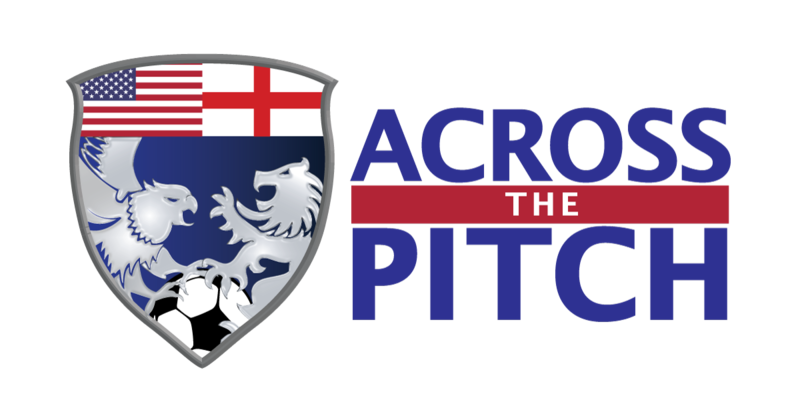 Email us anytime at contact@acrossthepitch.com if you have a question you would like for us to answer on the podcast, any comments about previous broadcasts, or any suggestions on what we can do to make the show better. We promise to answer you question on the air, even if you are a Spurs fan! Thank you for stopping by, and welcome to Across The Pitch.